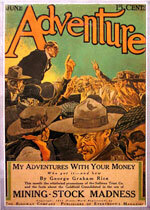 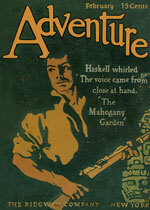 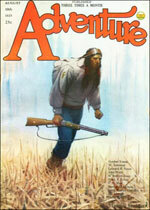 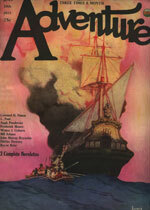 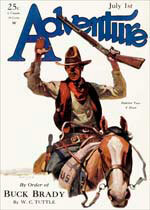 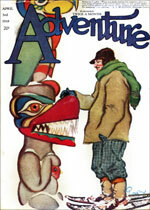 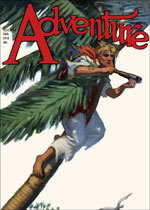 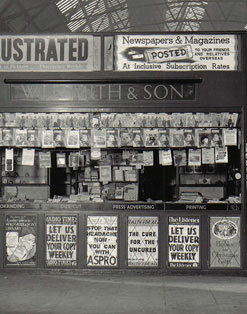 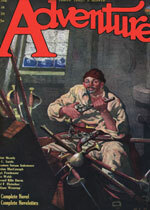 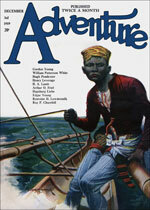 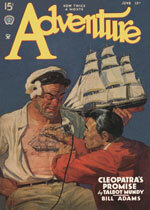 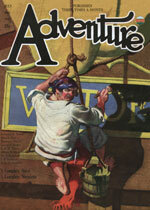 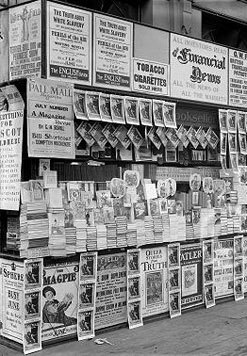 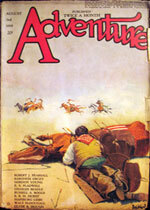 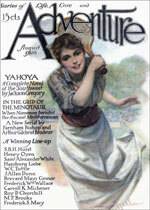 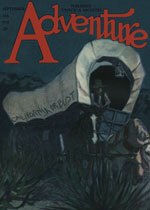 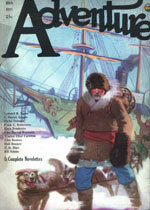 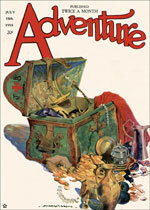 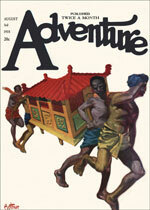 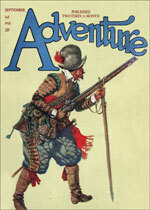 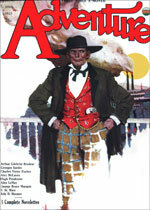 Adventure Magazine | Established in 1910 | Ridgway | Edited by Arthur Hoffman (1912-27) | Total Issues: 881. 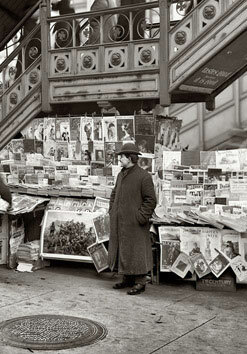 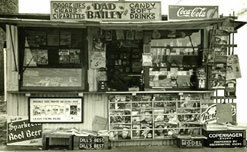 According to US Copyright Law [Title 17 USC §108(k), Limitations on exclusive rights: Reproduction by libraries and archives]: For a period of 20 years at the end of the term of copyright of any published work--extended to "95 years after publication" by the Copyright Term Extension Act (CTEA)--a library or archives, including a non-profit educational institution that functions as such, may develop, distribute, or display in facsimile form copies of such works, or portions thereof, for the purposes of preservation, scholarship, or research. 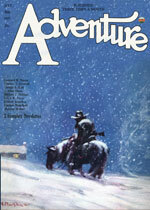 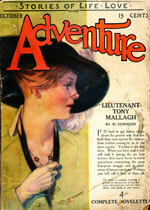 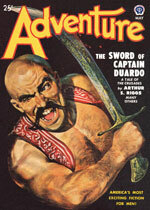 Otherwise, all post-1922 materials above are the exclusive copyright of Adventure Pulp LLC and may not be copied or distributed.